Almost every individual make use of computer and its applications either as a IT professional or as a web surfer and make due comparison between desktop and web applications. 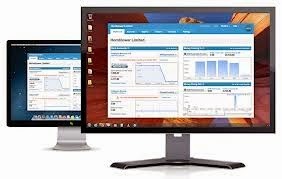 Desktop Application is an application that is being installed on standalone machines like a desktop or a laptop to perform some specific tasks. These applications run using the resources of the computer such as processing power, hard disk drive and computer memory. Word processors, media players are typical examples of desktop applications. Web application is an application that is assessed by the end user through a web browser such as internet or intranet. This application has its resources over the internet and works with the storage and the processing power of the CPU. Online shopping carts and eCommerce web sites are good examples of web applications. 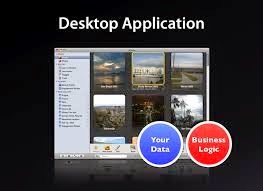 Here are some pros and cons of both Desktop and Web applications. Accessibility: Web Applications offer increased accessibility to the user since it could be run by the user anytime and anywhere through any device with its connectivity over the internet. Reliability: Desktop Applications do not require any connection to the internet for its operations and hence considered to be more reliable. Power outages interrupt the operations of web applications to affect its reliability. Cost: Desktop applications are cost effective as it is purchased and installed at once and hardly recurs any expenses towards its maintenance and up gradation in the future except for a few. Security: A desktop application being installed in standalone desktops and laptops provides high range of security in operation to the users. Web applications are open to multiple users on the internet which is prone to various threats and risks reduce the security of the application. To conclude, understanding the pros and cons of both of these applications needs determine the choice of its selection.